TuffRail® Products can be viewed at the locations posted below. More locations are added periodically so check back for updates. TuffRail® samples can be seen at all 2013 scheduled NHRA Mellow Yellow Drag Races mounted in Larry Morgan's Racing Trailer and displayed in Larry's and Cultrera's pit areas. National Event Victories: Super Comp -- Summit Racing Nationals in Norwalk 2010, 4-Wide Nationals in Charlotte 2011. Cars: '32 Competition Eliminator H/EA Bantam owned by Al Ackerman and Dave Ring. '09 Undercover Super Comp Dragster. 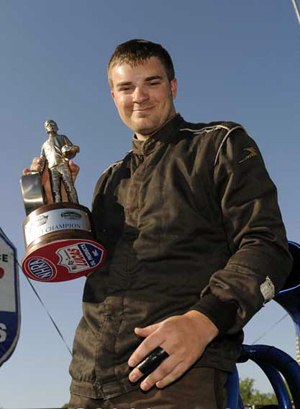 TuffRail sponsored Buddy Perkinson in the 2011-2012 Full Throttle Drag racing season. Acknowledgements of Trademarks: the "mark" NHRA and Mellow Yellow is owned by the NATIONAL HOT ROD ASSOCIATION and respective partners.